In the world of product innovation, an agile framework provides much greater value than traditional development methodologies can offer. Jeff introduced this concept in Agile Provides the Greatest Value to Organizations. In this article, we’ll explain one of greatest rewards we can earn using agile: exceeding expected value. Take for example a traditional team that executes a project with a duration of one year – the expected project length. In a typical waterfall method, we realize all of the expected project value – or in other words, the planned value delivered – at the end of the project. Referring to the figure below, see the yellow line as it approaches the end of the project. 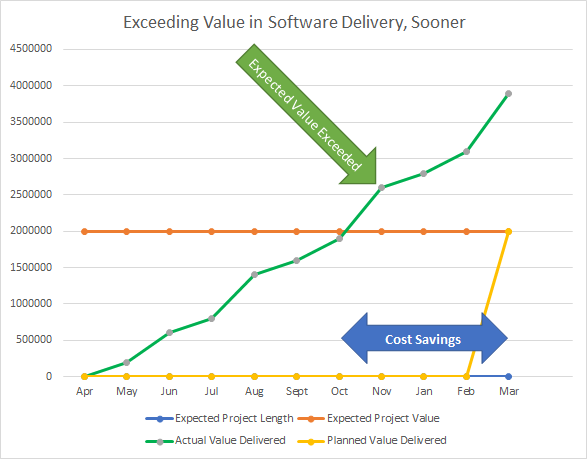 If on the other hand, we use a seasoned scrum team, we will meet the expected project value (orange line) far earlier than forecasted by the original project length, as demonstrated with the green actual value delivered. We plan the work in smaller, independant, testable, deliverable units. We assign value, with a testing method, to each unit. We use the same fixed period of time, every time we do the work. We release the units into production and run our tests for value. We use the test results as a feedback loop to filter the most valuable remaining work to the top, based on actual results. → New work can be added if deemed most valuable, every sprint. → Planned work could be pushed off or even removed if it no longer makes sense to do. Repeat, 1 – 5, with the new priorities based on value vs cost. Note that the scrum team is delivering incrementally, month after month, until we not only reach expected project value, but exceed it, and even earlier than the original expected project length. The cost to meet the expected project value will be significantly lower than the budgeted amount, improving the ROI and freeing up funds for capital redeployment. Because the team has learned to deliver value incrementally, this trend will continue, eventually far exceeding the original expected project value. 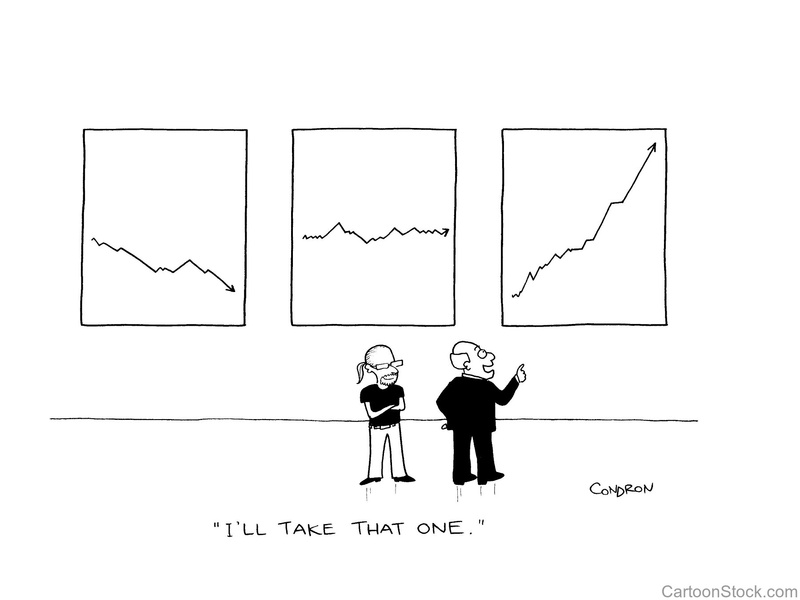 What is the Return on Investment (ROI) of Agile Methods? Erin Quick-Laughlin is a Certified Scrum Professional - Scrum Master & CSP-Product Owner, currently working as an applications development manager for Silver Star Brands. He's been proving the value of scrum since 2009 and patiently serves those who are as excited by it as he is. A great resource for people in business and/or process oriented problem solving organizations. Thank you Sam. Scrum is a great resource, especially for competitive innovation.